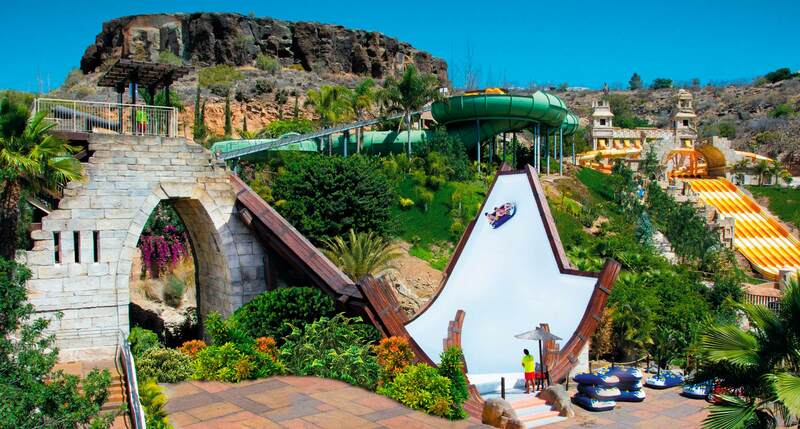 Aqualand Maspalomas keeps on renewing and, after building the latest generation of water attractions, focus is now on theming parts of the park as well as introducing new green areas, new palms and plants and areas of solarium. As such, 2019 starts with the inauguration of the newly themed “Water Labyrinth” and “Boomerang” and the renovation of their kamikazes. 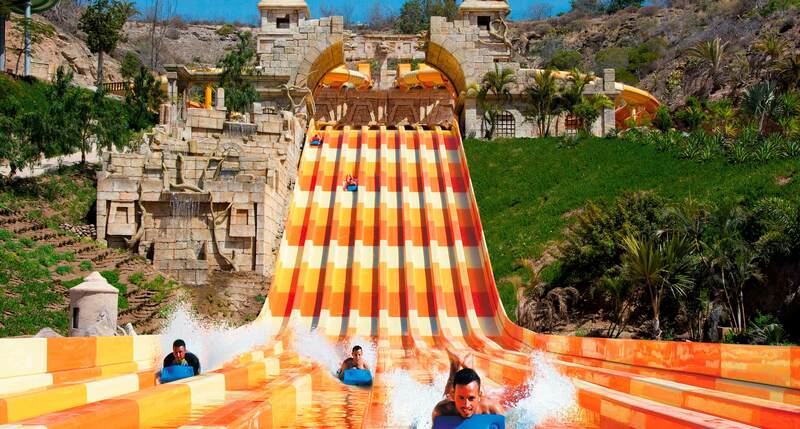 Water Labyrinth is a spectacular attraction that begins with a vertiginous descent and transforms into an 8-lane high-speed race. With these latest innovations, Aqualand Maspalomas continues to strengthen its position as the largest and best water park in Gran Canaria. Don’t miss it!